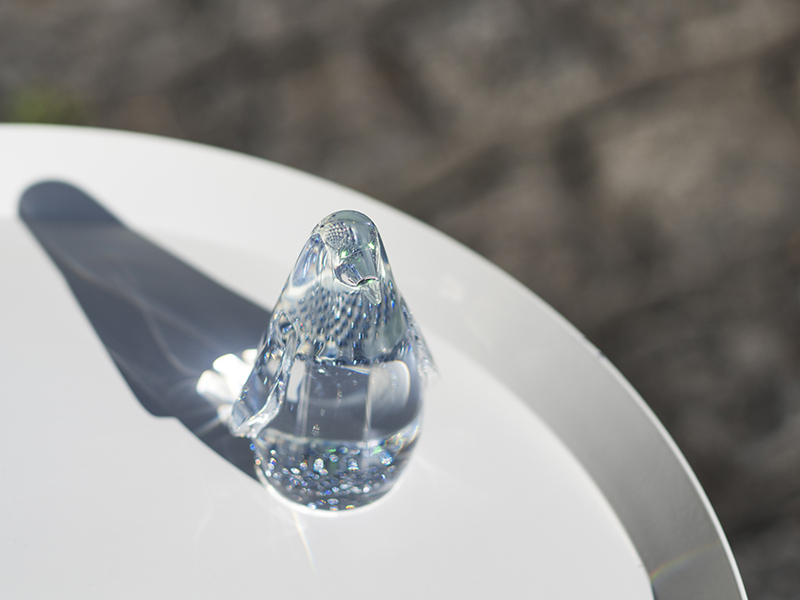 This penguin objet employs the spherical solar cell Sphelar. 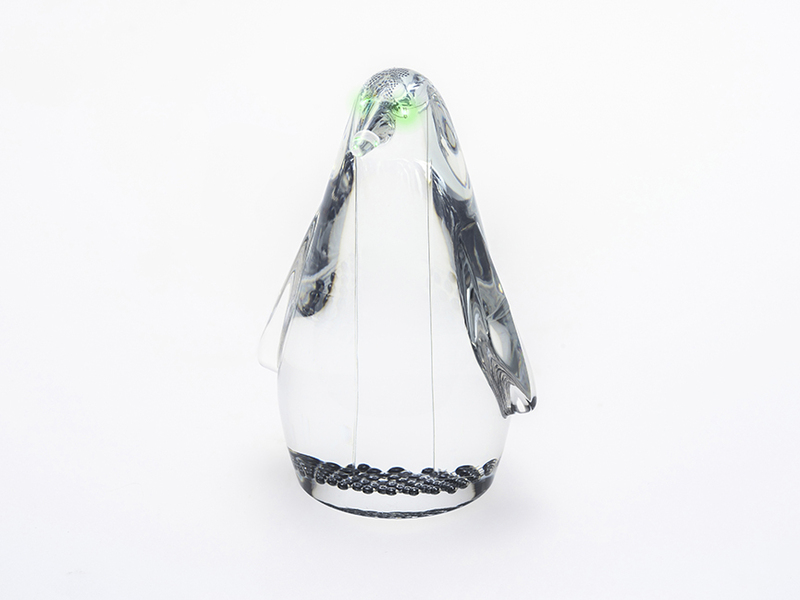 When receiving light, the penguin will “wake up” and the LED of the eyes will shine green. 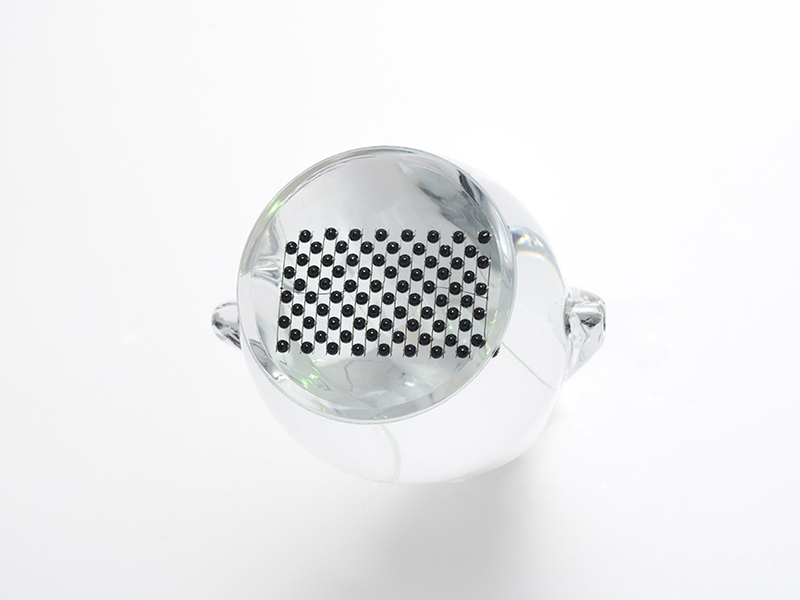 Sphelar is a solar cell in the form of a small sphere born from the question “How can I get light more efficiently?” Spherical solar cell Sphelar, unlike conventional flat solar cells, has a spherical light absorption surface, so it can absorb light from all directions. 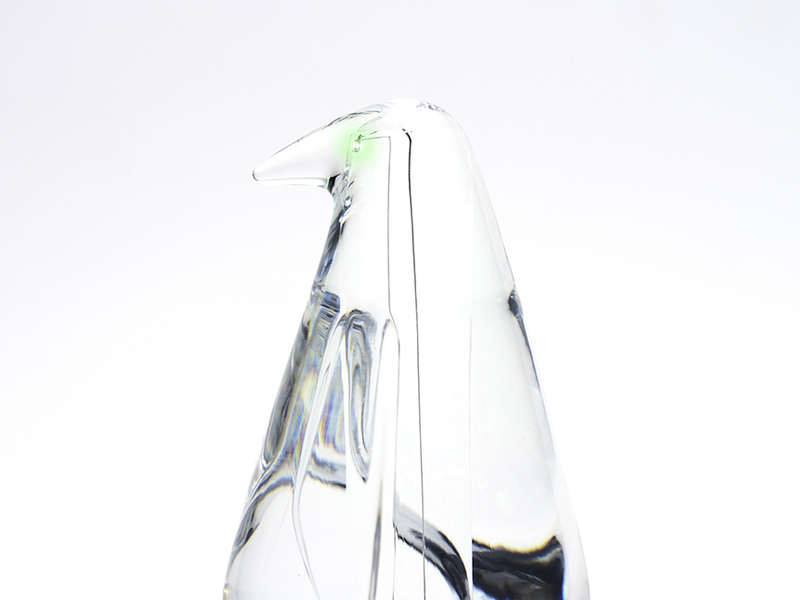 The LED eyes of the penguin are directly connected to the Sphelar cells and sealed. Thanks to the simple structure, the deterioration of each part is minimum, so it will work for a very long time. 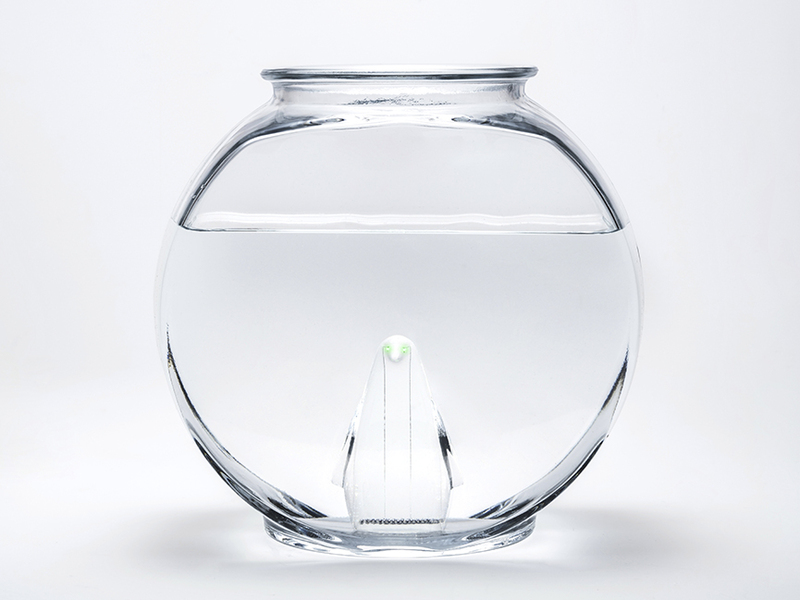 You can use it as a measure of the light intensity by placing it in places where light is necessary, such as near a plant. 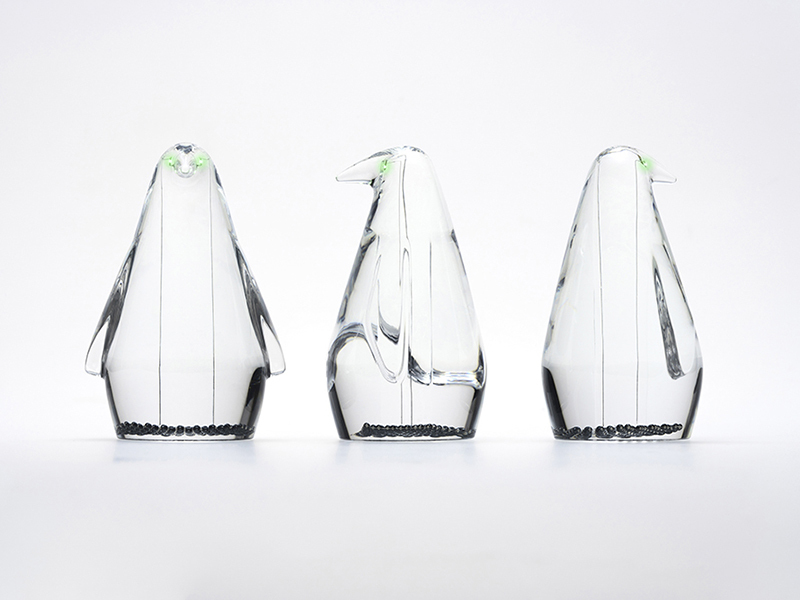 Penguins are in a crisis situation due to global warming. 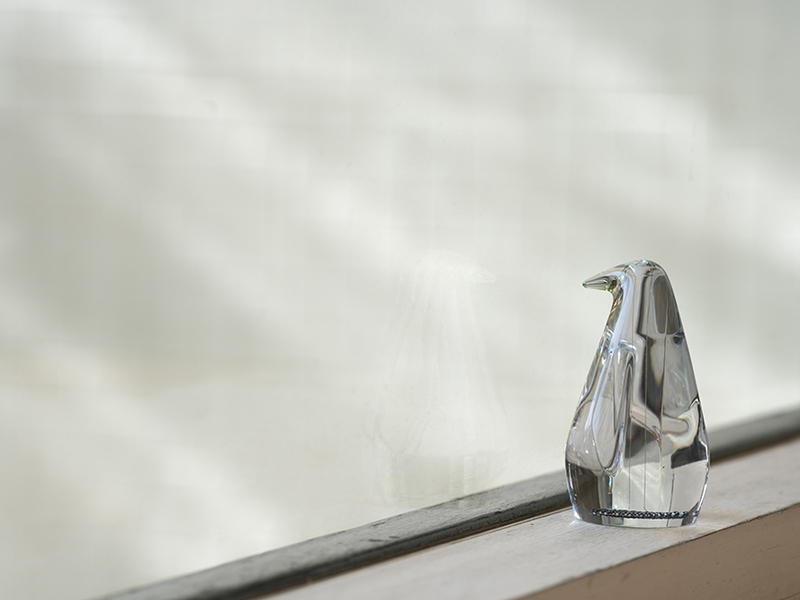 This objet contains the wishes that clean solar energy using Sphelar spreads more, ensuring a more hopeful future for the endangered penguins and our planet. 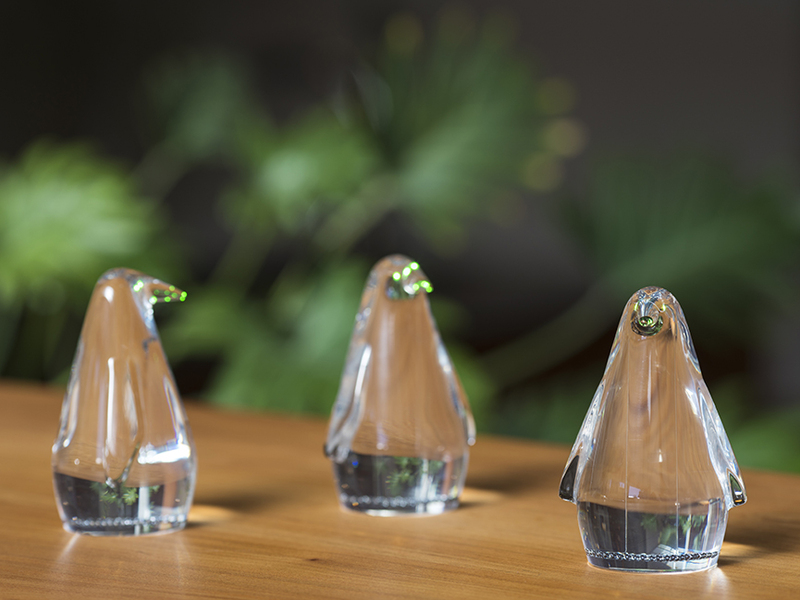 Part of the profits of the sphelar penguins will be donated to protection initiatives of natural environment and birds through BirdLife international Tokyo.